Bruce, who grew up in Santa Cruz and graduated from Santa Cruz High School, is managing director and co-founder of Alcentra, an international asset management group. He is also a generous donor to UC Santa Cruz and currently serves as a trustee on the UC Santa Cruz Foundation. He was the first chair of the UC Santa Cruz Social Sciences Board of Councilors that advises Dean Sheldon Kamieniecki, and later helped start a similar board in Southern California and serves as its chair. The Distinguished Social Sciences Alumni Award was first awarded in 2006 to Pulitzer Prize-winning Washington Post reporter Dana Priest, and is presented each year to a social sciences graduate whose career is characterized by sustained and exemplary contributions to society through research, practice, education, policy, or service. The Board of Councilors makes the selection from nominations from alumni. Past winners include two judges, a nuclear weapons policy expert, an educator and social justice advocate, a community organizer, fundraiser and philanthropist, a land conservationist, and an NPR correspondent. The award was presented Friday, April 24 in a ceremony at the La Feliz Room, Seymour Center. 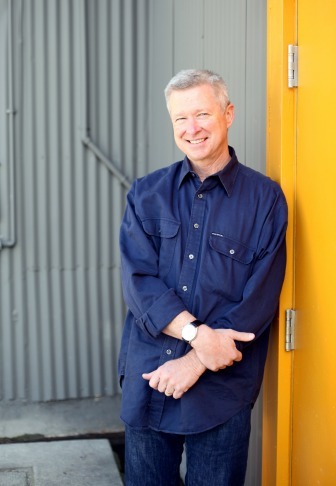 In 2006, Bruce established the Mark Bruce Fellowships for Future Math and Science Teachers at UC Santa Cruz in honor of his late brother, who died in the 9/11 terrorist attacks on the World Trade Center. He also established the Robert Meister Scholars Fund to support graduate students in politics and honor a favorite professor. Four years later, he established the Bruce Initiative on Rethinking Capitalism working with Meister. Over the years, Bruce has supported marine sciences, gaming, Asian studies, writing programs, a water lab, and other programs at UCSC. His advice for other alumni: "They should hunt down old professors, talk to students, fund a scholarship, or fund a speaker series," Bruce said. "It's so easy to get engaged."